Advantech provides commercial-off-the-shelf access to powerful acceleration technology for low latency video processing in platforms that scale from small embedded modules to cloud servers. 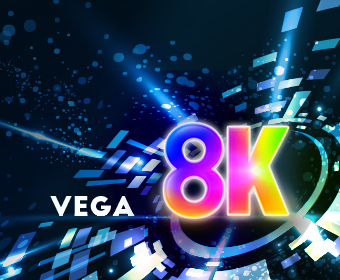 The VEGA 7000 is a family of highly configurable accelerated video processing servers which has been optimized to efficiently scale throughput of high-density UHD encoding and transcoding applications from edge contribution to cloud distribution. The VEGA 6000 family of compact video processing appliances supports ultra-low latency 4K 8K HEVC encoding, decoding and IP media interfaces for live UHD video processing in applications such as outside broadcasting trucks or hospital operating rooms. The VEGA 3000, 3300 and 4000 Series of UHD video, IP media and FPGA adapters are powerful PCI Express accelerators that can be integrated into standard servers to boost video infrastructure efficiency. As more attention is being focused on safety and security issues, requirements for video surveillance analysis and functionality has become more popular. ADVANTECH intelligent video surveillance platform complies with ONVIF for maximum flexibility and integration into existing IP based systems. Multi-stream, Power over Ethernet (PoE), RS232/422/485, sensor and alarm I/O, internal Mini-PCIe/mSATA are just a few of the other features. Furthermore, by latest DSP technologies and associated silicon, application that perform data analysis such as intelligent video analysis, motion detection, forbidden zone, or license plate recognition is now easy integrated and cost effective. NVS-500, 4th generation Intel core based professional NVR, combines server, network switch and camera power supply (PoE) into one system. It embedded 16 to 24 ports of PoE Lan for camera links with high power budget, and also supports four 3.5" HDD up to 16TB storage capability. NVS-500 can be perfectly applied to diversified usage cases such as banking, building surveillance as well as middle to large floor size of hypermarket. NVS-300 provides a perfect video surveillance platform for diversified applications such as retail, casino and entertainment. NVS-300 x86 architecture system combines the functions of a high performance Network Video Recorder with a Power-over-Ethernet (PoE) switch into one system. It not only supports up to 4 x PoE ports for IP cameras but its compact enclosure and removable 2.5" HDD bay with lock is ideal for all kinds of security application requests. The x86 open platform also eases application software integration and make NVS-300 the best solution for video surveillance applications. For Multi-Core Digital Signal Processing (DSP), Advantech offers ATCA DSP blades for Media Gateways. ATCA DSP blades provide media processing capabilities for high-density transcoding in a compact ATCA form-factor with low power consumption. As video encoder cards, Advantech PCI Express DSP cards feature with four TI multi-core DSPs to achieve the highest DSP performance for video processing and acquisition applications, such as digital media, communication as well as measurement equipment.